Happy 70th to Frank Smead! 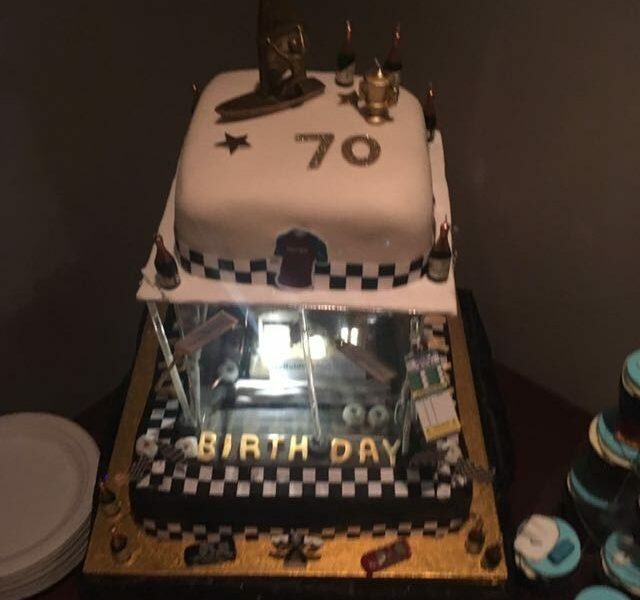 We would like to congratulate Frank Smead on his 70th Birthday, which he recently celebrated. Frank’s cake showed his interest in Wind Surfing, Formula 1, West Ham United and, of course, Scaffolding! Scaffolding Access is an experienced scaffolding company and works within various specialist industries. We are committed to providing scaffolding, cradle hire and erection services to the highest standards, and meeting or exceeding customer requirements.